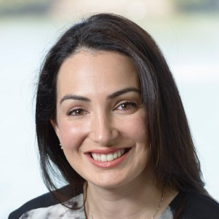 Dr Vadi Vojdani is the Practice Principal at Island Dental, a premier practice in Adelaide, South Australia with a focus on comprehensive care, and both general as well as cosmetic dentistry. Vadi has been practising dentistry for 17 years and continues to learn about new ways that she can deliver more to her patients and maintain the point of difference at Island Dental – its customer experience. Her CX journey started years ago, with the intention of changing the mindset about dentistry from the often-unpleasant trip to the dentist filled with anxiety and negative stigma to one which was inspiring, hospitable and memorable. I recently caught up with her to find out how she’s using customer experience to differentiate Island Dental and create a loyal customer base. I know that you’ve been interested in customer experience for quite a few years, Vadi. What first led you to start researching it? I have always been driven to give my best in the belief that any kind of work is a service to others, whatever “work” that may be. There is no reason why the service we provide to others cannot be done with the utmost care, attention to detail and of a high standard. This principle became instilled in my dentistry early on and inspired me to learn about extra facets of my profession clinically as well as in building my patient base. I wanted my patients to leave my hands feeling good – not just about their care, but also about themselves! As though they have left a place they look forward to returning to, and would confidently recommend to the people they love. What a wonderful vision! So what’s your philosophy when it comes to customer experience? It’s simple: our patients are important to me and they deserve to be treated with integrity and respect. I need to know who it is that is walking through my door. Simon Sinek talks about knowing your WHY. It is up to me to know the WHY of my patients. The more I understand what is behind the façade of this anxious patient, or cosmetically driven person for example, the more I can understand how I can meet their expectations – clinically, physically, and emotionally. This critical information needs to be delicately collected, stored, and even more delicately used. There is nothing worse than having your private information stored in a sterile dot point format for a stranger to regurgitate with no compassion or understanding! The dental “business” is about relationships. When we can connect with other people, we share a level of trust and respect which allows a long-lasting loyal relationship to form. To connect with people, we need to provide a personalised experience. The only way this type of experience can come about is with exceptional staff. They need to believe in the principles of the practice and be on the same quest for excellence. Without staff that have high standards and values, you cannot implement your desired result and you end up with a compromise. That’s non-negotiable. We do a lot of other things like run regular meetings, staff training, staff functions to bring about staff unity and try to bring about an attitude of gratitude with positive quotations, and acknowledgement of our colleagues for work that is “above and beyond”. I completely agree: engaged staff are the bedrock of great CX. So how do you track Island Dental’s CX? What metrics do you use? I keep a lot of statistics. Some of these include numerical values of the people coming and going, but we keep a close eye on how patients feel following their dental experience. We personally call every single patient the following day to see how they are doing after their treatment with us. Their feedback may include anything from how well their tooth ache was resolved or how beautiful they think their new smile is now, to how they felt when leaving our reception area at the end of their visit. We record this information and provide advice or assurance when needed to ensure our patients receive the optimal support. One of the important by-products of a happy patient is their likelihood to refer us to their friends or family. Referrals are our most important marketing tool. To date, we have done very little marketing and only recently joined the world of social media. We have relied solely on word-of-mouth and are very careful to acknowledge those that recommend others to us. It is important they know we appreciate that they have trusted us enough to recommend the ones they love and we assure them that we will look after them. We ask all our new patients who referred them so that we can thank them. We keep a record of who people refer so that we get to know their network better, we send them a letter of thanks acknowledging that they have entrusted us with their friend or relatives care, and ensure we thank them personally when they are next in. What a privilege for us to see someone’s family and friends! In my eyes, there is no greater compliment. You have a passionate commitment to utilising new technology. Does that extend to Island Dental’s customer experience? If so, how? The use of new technology is a tool to add value to the patient’s appointment and to help us achieve their health and wellbeing goals. Clinically, we use digital x-rays and intra oral cameras to communicate what we see as well as our recommendations to our patients. Effective software, DSLR cameras, lasers, a CEREC 3D scanning and milling unit to deliver immediate ceramic restorations and other high end equipment are used to get the best results we can. From a customer relationship perspective, we use a database that keeps all of our patient information private, safe and in the right compartments. These compartments may be purely clinical, medical, radiographic or the imperative notes we keep about our patients to know them better and provide them with a more personalised service. For example, “Mr Smith likes to wear his own glasses” or “ring Mrs Jones to remind her to take her medication”. The software allows reminders to pop up on the screen as we need them, to keep us on top of a patient’s medical requirements, preferred appointments and of course, their day-to-day preferences. It is often the smallest things that make a big difference and avoid the need for a patient to constantly remind us what they need. We also use iPads to record medical histories and information pertinent to patients’ care as well as topics they might like to discuss with us in the future. This mode of communication is great for accuracy and keeping information current. Whilst the iPads have the capability to be used to seek feedback from our patients as they leave, I feel that this would bypass the very key to open communication – the human connection. Nothing surpasses the compassion and understanding of an empathic smile or knowing eyes that say “I care”. You’ve had a chance to look at what iDENTIfy is doing with technology to personalise the customer experience. What do you think? What do I think? It sounds fantastic! If I could get an advanced communication platform that allows patients to complete a survey in advance at their convenience and without pressure or “white coat” syndrome, and one where I could get this information to put patients at ease and ask better follow up questions, particularly when they have concerns that they consider sensitive or confidential, then what’s not to love? It sounds like iDENTIfy provides patients an opportunity to customise THEIR OWN experience. Now Ben, there’s a thought! If you could do that with an experience at a favourite restaurant i.e. individualise your experience “just the way you like it”, you would never go elsewhere again! Honestly, I can’t wait to see this product! What a great vision for CX! So, in what direction do you see CX for the dental profession heading over the next five years? Many dentists are practising longer and retiring later, the graduating classes at dental school are larger than before and new practises are opening up on every corner. In the background, there is an unstable economic and political climate, and dentistry has been referred to as “discretionary spending” though the waiting lists for public care are endless. At the same time, we are learning so much more about the connection between oral health and general wellbeing such as our nutrition, sleep quality and our airways, growth and development of our teeth and jaws as well as cosmetics. Our standard of care must be higher. If you expect to welcome new patients into your practice, if you expect your existing patients to be loyal, then you need to enhance your customer experience. Someone once said: “being on par in terms of price and quality these days will only get you into the game”. You will only be remembered if you provide a memorable experience. There is a magic to relationships. You need to keep the passion of your WHY alive as well as the magic of your WHO – the people that make it happen are your patients – without these guests, we have nothing. This personalisation, this customisation of our dealings with people is “the edge” in developing strong ties of trust and rapport upon the fabric of integrity. It is only with these connections and these wow experiences, that you can safeguard the future of your dental practice. In the end, if you don’t create value and you don’t make your patients feel important, why should they stay? I completely agree. Finally, who do you take inspiration from? When it comes to customer experience, I have actually really enjoyed reading your blog, Ben. Your posts have solidified a lot of what I had already read. I have read lots of books on customer service from all sorts of different perspectives as well as ways to optimize the patient experience. I really have just absorbed them all and applied what I felt was relevant. Dentistry is a unique area – it is both a “need” as well as a “want”. You cannot treat it like you would a luxury item, nor is it enough to treat it as just a necessity. Sometimes it’s both! From a dentistry perspective, I am so grateful for the opportunities that have come my way. I have had great people around me throughout my career to date. Dr Anne-Maree Cole has been an inspirational mentor to me for some years now, and has changed the way I work and view the future of dentistry. I have also had the privilege to work with Dr Tony Hobby who founded Island Dental and lay its strong foundations with a unique mission statement and a vision for exceptional care. My aim is to continue the legacy. For more of Vadi’s insights, go to Island Dental’s Facebook page or visit their website: http://www.islanddental.com.au/. This post originally appeared on iDENTify’s blog in June, 2017.